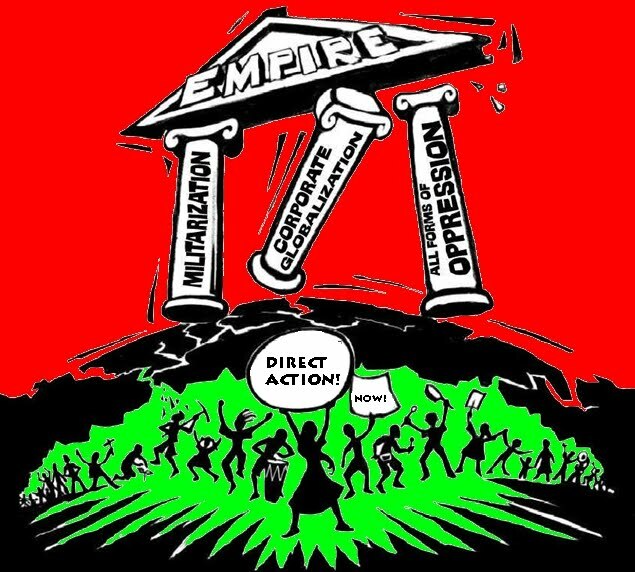 Direct action is activity undertaken by individuals, groups, or governments to achieve political, economic, or social goals outside of normal social/political channels. This can include nonviolent and violent activities which target persons, groups, or property deemed offensive to the direct action participant. 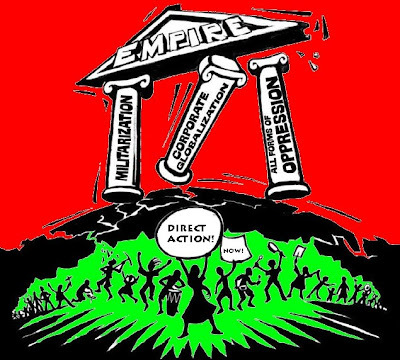 Examples of direct action can include strikes, workplace occupations, sit-ins, graffiti, sabotage, hacktivism, property destruction, assault and murder. By contrast, electoral politics,diplomacy and negotiation or arbitration do not constitute direct action, as they are politically mediated. Non-violent actions are sometimes a form of civil disobedience, but some (such as strikes) do not always violate criminal law. Their aim is to either obstruct another political agent or political organization from performing some practice to which the activists object; or to solve perceived problems which traditional societal institutions (governments, powerful churches or establishment trade unions) are not addressing to the satisfaction of the direct action participants. In general, direct action is often used by those seeking social change, in some cases, revolutionary change.